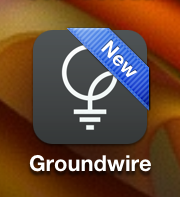 STEP 1: Load the Groundwire application. You can download this application from the Apple App Store. 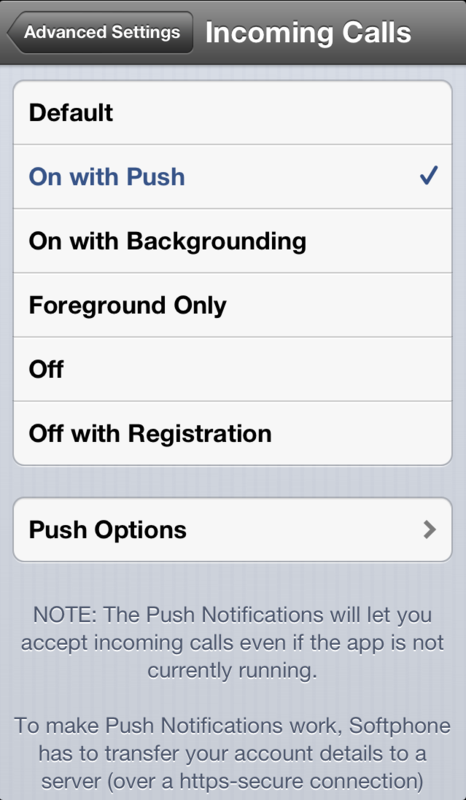 STEP 2: Agree to enable PUSH notifications. Touch the Done button when all information has been entered. STEP 5: Press the Advanced Settings button. 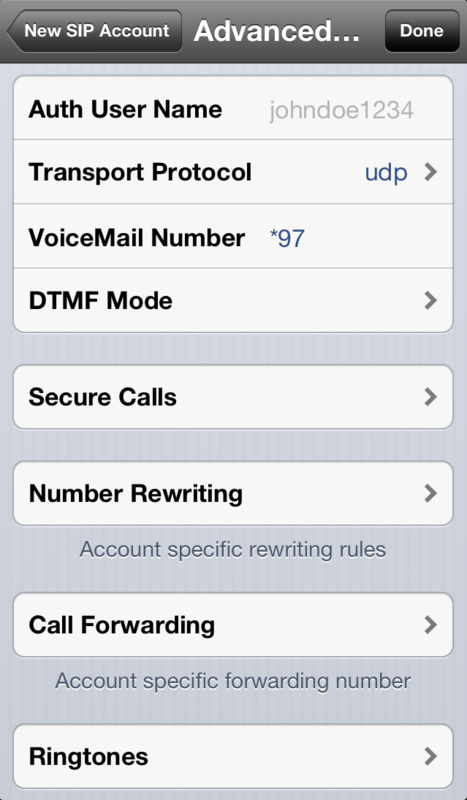 Step 6: Scroll down to Voicemail Number and change the setting to be *97. Press the Done button when finished. Step 7: Press the Done button to save settings. 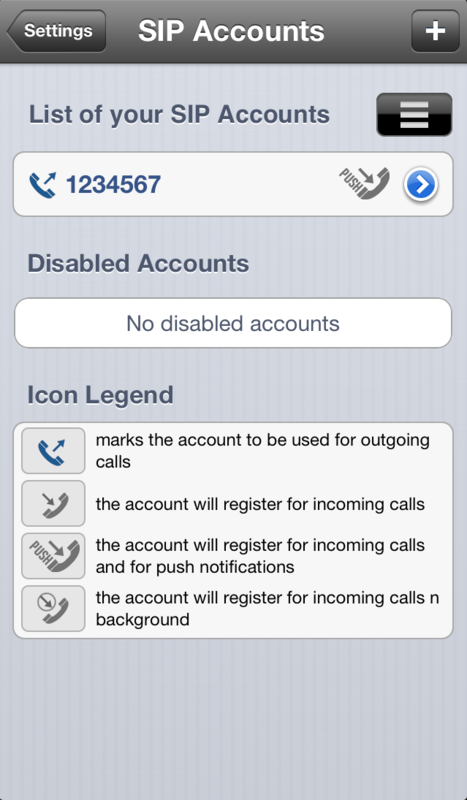 Step 8: Press the blue account arrow button to go back into the account you just created. 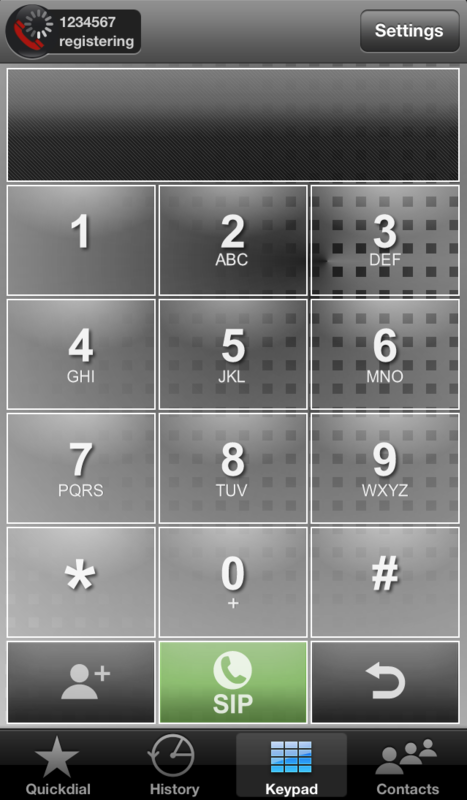 Step 10: Press the Incoming Calls button. 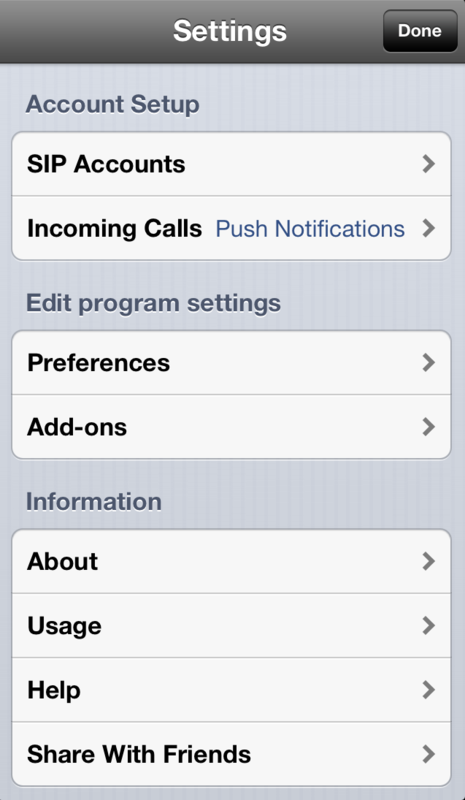 Step 11: Change the setting to On with Push and then press the Push Options button. 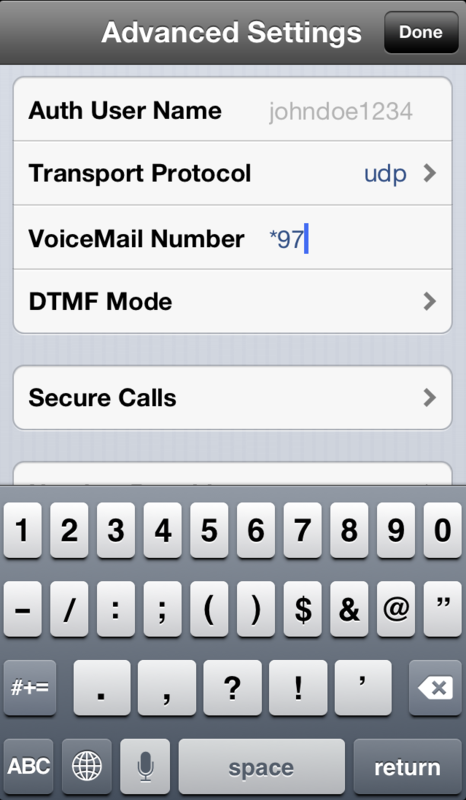 Step 12: Change the Push Voice Mail button to ON and then click the Done button. Step 13: Press the Settings button. Step 14: Press the Done button. 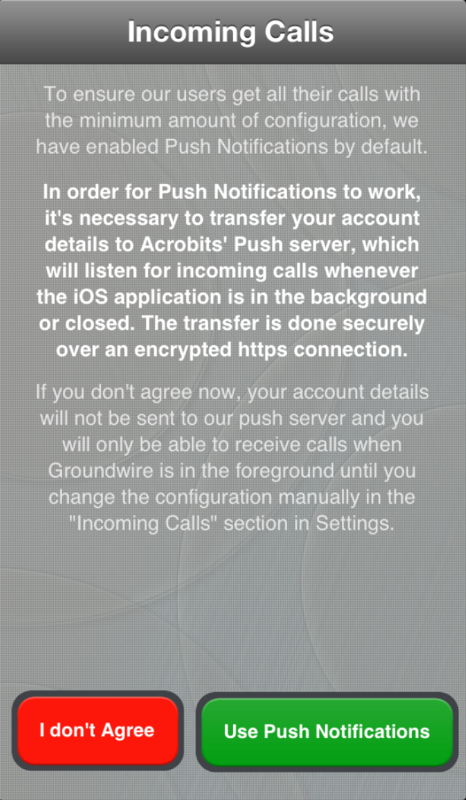 Step 15: You phone will then register to our server. 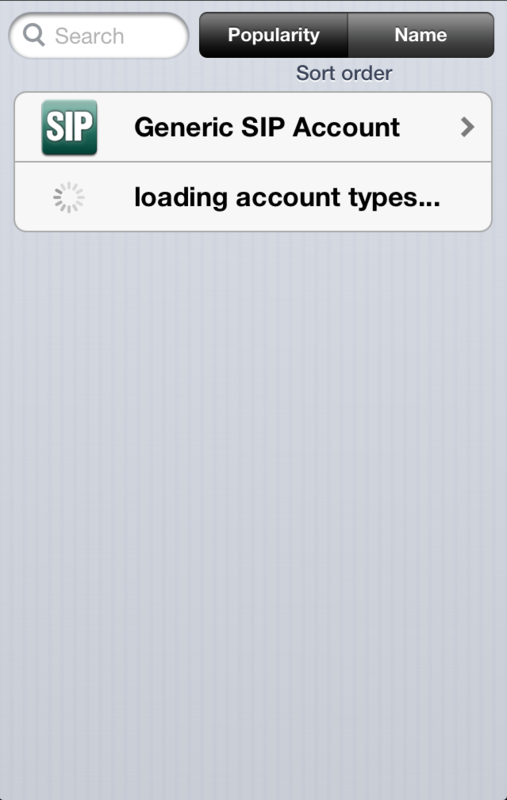 Step 16: Once registration is done, the phone icon will turn green and show you the device ID.